Join us on Saturday, April 14th for the next installment of the Cream of the Crop comedy show! 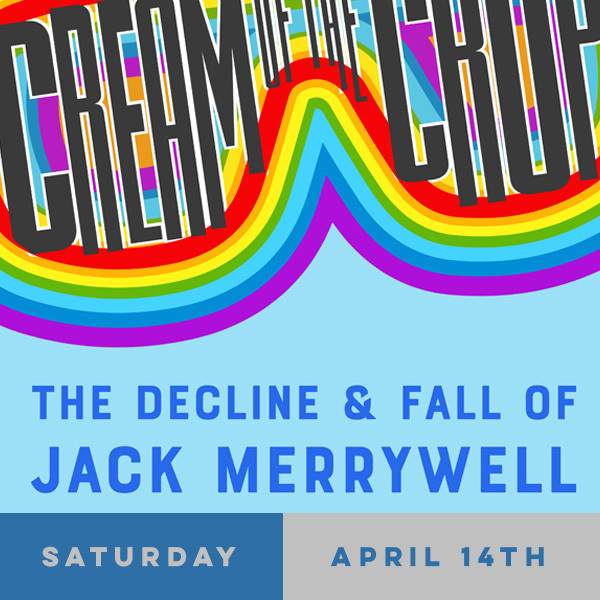 This month, one of the show's co-hosts, Jack Merrywell, will be recording his debut comedy album, "The Decline and Fall of Jack Merrywell." Also appearing on the bill are Brandon Patrick, Ben Flug, Tristan Newell, and Aaron Scarbrrough. Doors at 7:00, show at 8:00, and tickets are $10 at the door!